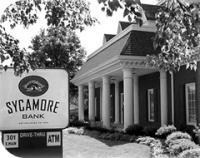 Sycamore Bank is proud to deliver the highest level of security for our Internet Banking customers. We have added an additional layer of security to our log in process. This helps ensure that your information is secure, helping to protect you from fraud. It's very easy to use and there is no software to install. Just follow the instructions to enroll and learn about the new log in procedures for Internet Banking. We are located just south of Goodman Rd at 6830 Getwell Rd, approximately .3 miles from Snowden Grove Park and Ampitheater.